So what’s it all about and how can it help me? Well as a bit of a history lesson in the early 1980s saw a tremendous expansion in the area of network deployment. As companies realised the cost benefits and productivity gains created by network technology, they began to add networks and expand existing networks almost as rapidly as new network technologies and products were introduced. By the mid-1980s, certain companies were experiencing growing pains from deploying many different (and sometimes incompatible) network technologies. The problems associated with network expansion affect both day-to-day network operation management and strategic network growth planning. Each new network technology requires its own set of experts. In the early 1980s the staffing requirements alone for managing large heterogeneous networks created a crisis for many organizations. An urgent need arose for automated network management (including what is typically called network capacity planning) integrated across diverse environments. 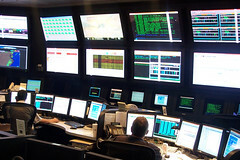 These new large and complex networks required tools to configure and monitor the network.